It's a win-win: Business Digital Voice and Fios Internet for Business. Gain the Verizon advantage for your business. DC, your copper internet is history. Upgrade to Fios and get $30 off. Do more in less time with Verizon business solutions. D.C. might not be the city that never sleeps, but as the nation’s capital, business sure isn’t slow. Being a business owner in Washington, D.C. has its own challenges, but finding the services you need to keep things moving shouldn’t be one of them. 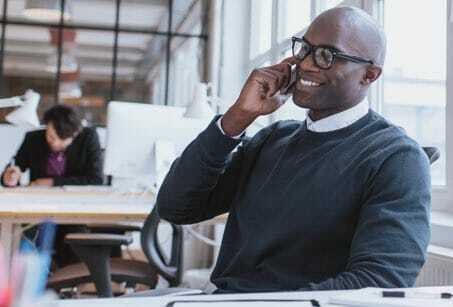 Verizon business solutions make it easy for you to get the connection you need to keep up-to-date with everything trending online, as well as keeping lines of communication open with clients and business associates. Whether you work for the federal government, own one of the 68,236 small businesses in the area, or are involved in tourism —the 2nd largest industry for D.C.—faster internet means faster transactions, task completion and revenue earning. Couple great internet speed with a reliable phone line for even more ways to improve how you do business. Bundling your services means simplification for you and your business. Plus, you’ll save more by combining Fios internet and Business Digital Voice from Verizon. Products and pricing in Washington, D.C. Hear and be heard in Washington, D.C. with a little help from Business Digital Voice. With almost 5 million metro residents in Washington D.C., the capital is a busy place to live and work. Job growth has increased by almost 2% and unemployment has fallen to 3.9%. What all of these numbers indicate is that the Washington business climate is doing well. Keep up with those numbers by investing in your company communication. Business Digital Voice from Verizon offers you a 100% fiber-optic VoIP connection. Verizon offers a variety of features to improve the way you do business, including Visual Voicemail, Call Waiting and Call Transfer. And those are just a few of the options you’ll have to stay in contact with customers and clients, whether they’re in Georgetown or Kingman Park. Plus, you decide on the number of lines you need to match your call volume. Verizon provides the Washington, D.C. area with a high-tech data center. As a resident of Washington D.C., you know that the cost of living can be a little heavy (23.8% higher than the national average). So having the connection you need at a price that doesn’t break the bank is a must. With prices starting at $84.99/month for 75 Mbps, Fios Internet for Business offers your company a high-speed connection at a reasonable price. But a good price tag isn’t all that your District of Columbia business gets from Verizon. Fios Internet for Business is completely fiber-optic, built to provide a stable, reliable connection—whether you own one of the 2,500 startups or one of the many established companies citywide. Plus, installation of Fios Internet for Business is free and professional, so you don’t have to worry about extra fees or costly set-up mistakes. And when you consider the security features you can include in your plan, it’s easy to see why Verizon is a top competitor for internet service in the D.C. area. Verizon provides the Washington, D.C. Area with high-tech data center. Verizon cares about providing the best services to customers. With top-of-the-line security and technology, the Network Access Provider of the Capital Region® located in Culpeper, VA is one of the finest data centers around. The NAP has the ability to securely deploy and house bandwidth-intensive and mission-critical applications. As the heart of our country, we look to Washington D.C. for guidance. While America hasn’t led the world in broadband connectivity, we are fortunate that our leadership has seen the need to expand this resource moving into the future. In 2010, the Digital Inclusion Initiative was started to help map and expand broadband coverage throughout Washington D.C. Today, D.C. has some of the most comprehensive broadband coverage in the US, with an estimated 98% accessibility rating at an average speed of 35.7 Mbps. It is also estimated that less than 2% of the population is underserved, which is excellent by any standard. However, it seems that the D.C. area could use more access to gigabit services moving into the future. Verizon is invested in D.C.
Verizon has also contributed to the widespread availability of quality broadband throughout our nation’s capital and plans to help improve the availability of gigabit speed access in Washington D.C. To see if Fios Gigabit Connection, or any other Fios service, is currently available in your neighborhood, you can visit our Fios availability page. Washington DC: Heart of the US, hub for the world. Washington D.C. is much more than the capital of our country—it is also a place that invites the entire world to come together. It is estimated that D.C. hosted a record 21.3 million total visitors in 2015. Approximately 2 million of those visitors come from other countries including China, the United Kingdom, Germany, Australia, Mexico, India, Egypt and many more. The high amount of tourist traffic in the city allows a number of other industries to flourish, making D.C. a destination spot for shopping, art and food culture. In recent years, there has also been an effort to make the area better suited to small businesses and progress continues steadily. Verizon is in line with these goals and continues to do its part to expand the availability of high-speed broadband, as well as other quality business services, which the 68,000 small businesses located across Washington D.C. can use to thrive. District of Columbia residents make an average of $159,831 per year, making the area the richest economy in the nation. 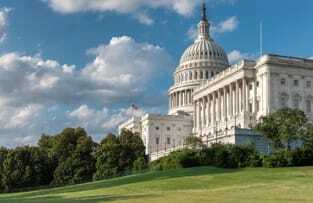 Top industries for small business in Washington, D.C. Learn about Verizon business solutions. Fill out the form and we'll call to give you a quote and answer your questions about Verizon small-business services.